BEREA, OH – It looks like the Browns have finally found their franchise quarterback in rookie Baker Mayfield. One week removed from firing Hue Jackson, the Browns just need a head coach to pair with him. 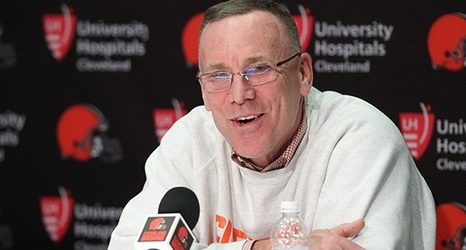 That task of finding the right head man for the franchise will apparently belong to general manager John Dorsey according to multiple outlets, including Cleveland.com. In the past that role has belong to the team’s owners, Dee and Jimmy Haslam, in fact the Haslams used the Korn Ferry search firm to hire Jackson in 2016. In the week since Jackson was dismissed there has been plenty of speculation over whether or not Jimmy Haslam would oversee his fourth head coaching search for the franchise.